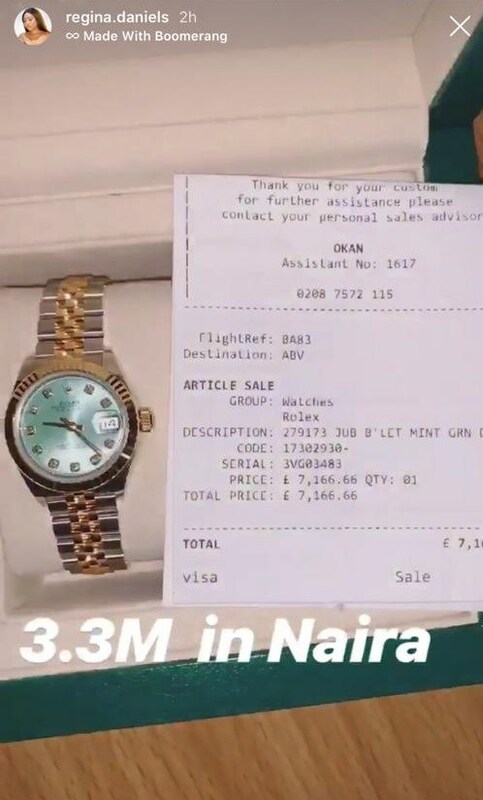 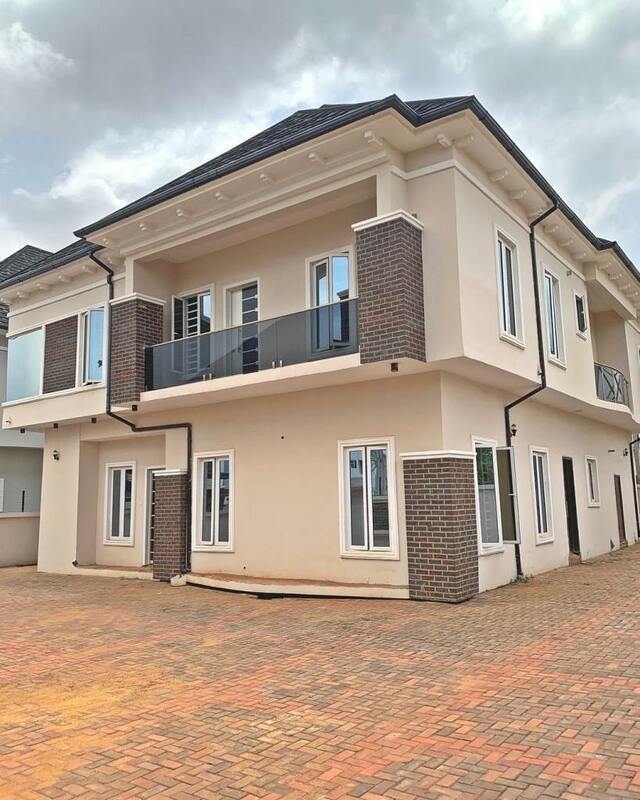 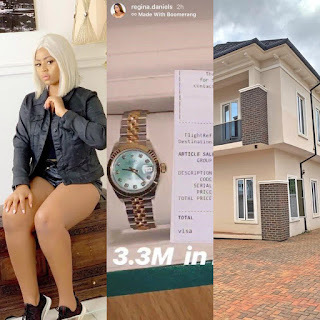 Regina Daniels has once again gone on a luxury shopping spree, and she’s shown off a 3.5 million naira watch she just acquired, just a few days after she acquired a multi-million naira car. 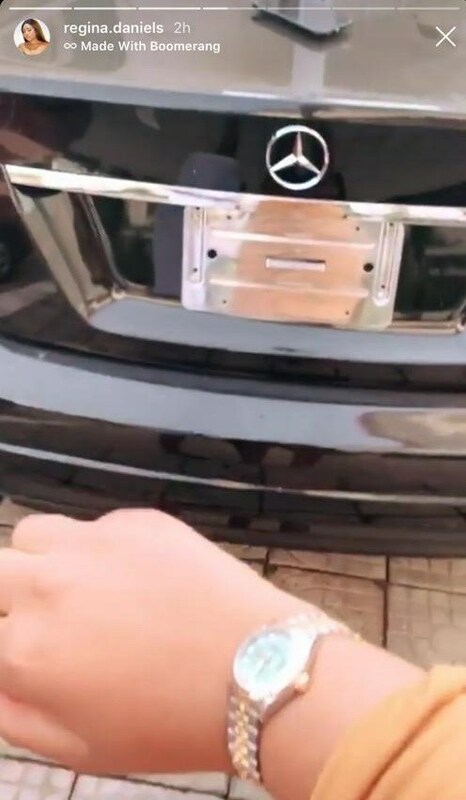 Prior to the house, she acquired a Mercedez Benz SUV. Folks on Social Media have questioned her source of income, and they’ve said acting cannot pay her such huge amount of money!